Browse offers, connect with agents, find your next team. Increase your visibility and get access to current offers to connect with new teams or agents. Find the players you need with our advanced search engine (profile, statistics, status... ). 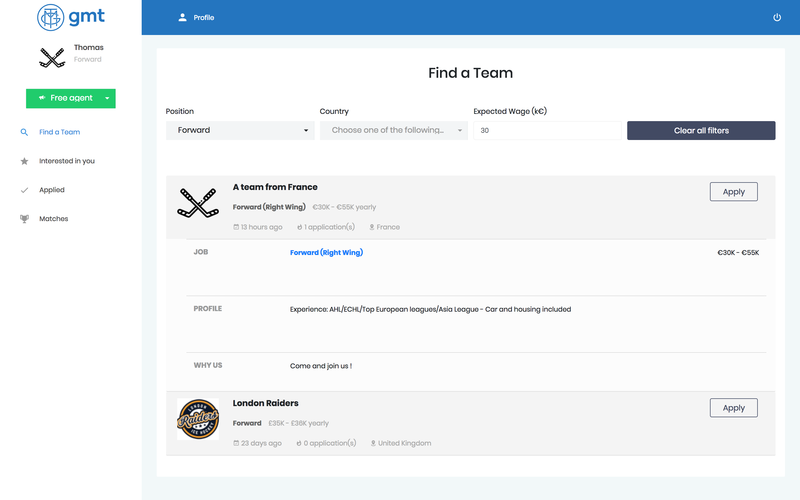 Create your profile, select your status if you are a free agent or under contract, use the advanced search engine to find the teams who fit your needs. Apply to offers and give new impetus to your career. When teams are interested in your profile, you will receive an email notification and start discussing new opportunities. 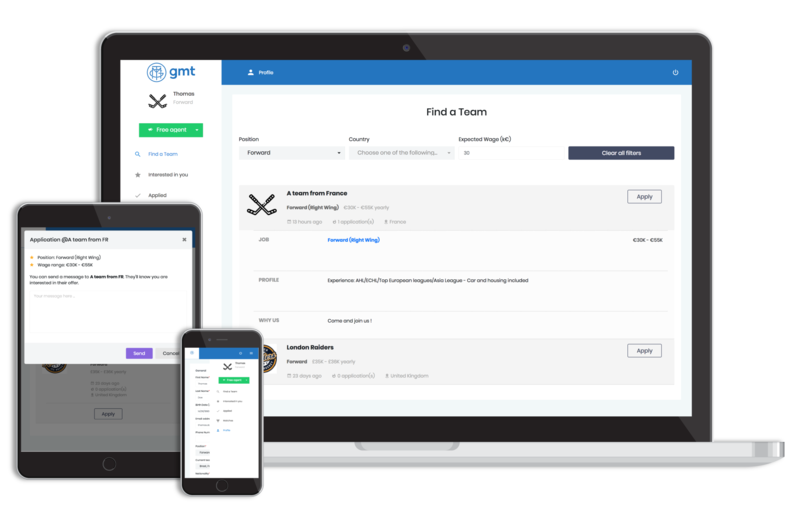 Create your team profile, post offers on the platform with a short description of the talent you are looking for. If necessary, you can hide your team name and keep your offers anonymous. When a player applies to one of your offer, you'll receive an email notification. 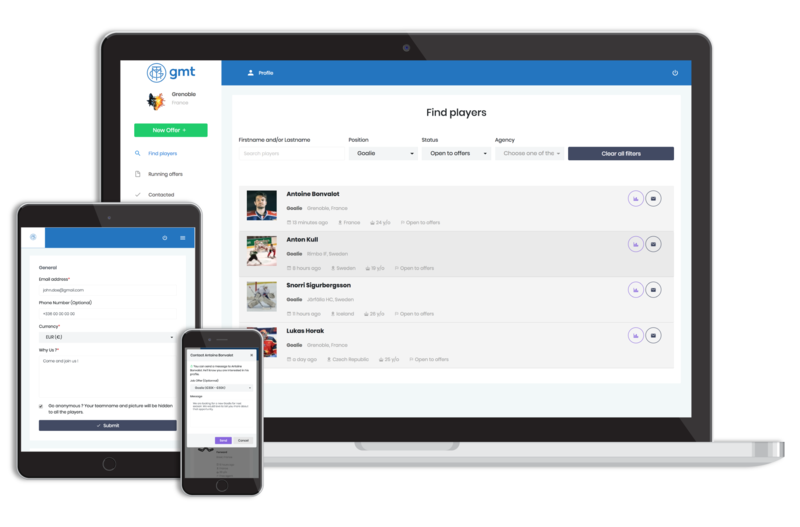 You can also use the advanced search engine to find the players who fit your needs and start talking new opportunities. 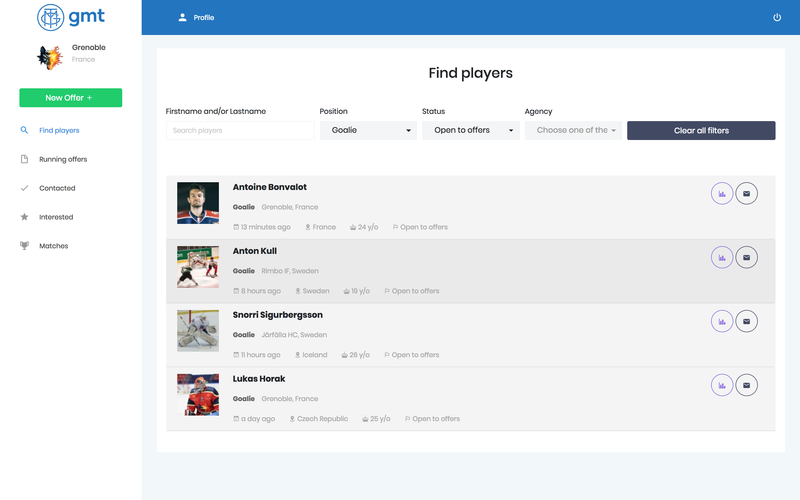 Create your agency profile, use the advanced search engine to scout new ice hockey players and connect with them. When players are interested to work with you you'll receive an email notification and you can start discussing new opportunities. You can also have access to current team offers and put your players in the spotlight to get them signed up. Why did I create gotmyteam? Where ice hockey players find new opportunities. We connect teams, players and agents all over the world.